Guantánamo has become a symbol of what has gone wrong in the War on Terror. Yet Guantánamo is more than a U.S. naval base and prison in Cuba, it is a town, and our military occupation there has required more than soldiers and sailors—it has required workers. This revealing history of the women and men who worked on the U.S. naval base in Guantánamo Bay tells the story of U.S.-Cuban relations from a new perspective, and at the same time, shows how neocolonialism, empire, and revolution transformed the lives of everyday people. Drawing from rich oral histories and little-explored Cuban archives, Jana K. Lipman analyzes how the Cold War and the Cuban revolution made the naval base a place devoid of law and accountability. The result is a narrative filled with danger, intrigue, and exploitation throughout the twentieth century. 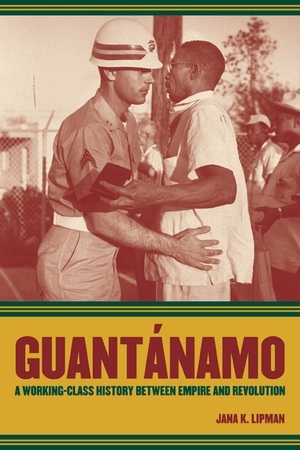 Opening a new window onto the history of U.S. imperialism in the Caribbean and labor history in the region, her book tells how events in Guantánamo and the base created an ominous precedent likely to inform the functioning of U.S. military bases around the world. Jana K. Lipman is Assistant Professor of History at Tulane University.